-- Select a Size/Color -- One Size Lobster Claw - Out of Stock! 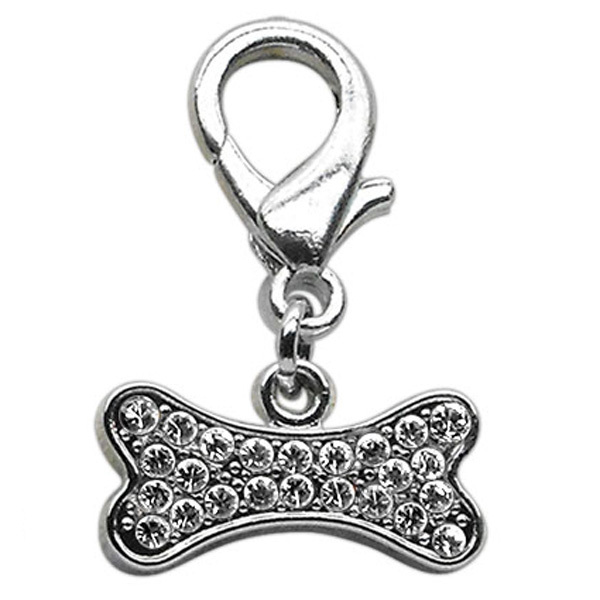 Boys and girls love bling and the Lobster Claw Bone Dog Collar Charm is the perfect addition! This charm is an adorable and stylish addition to give a collar a bit of flare. Mirage Collar Charms are hand enameled and crafted in the U.S.A. from the highest quality jewelry materials. The lobster clasp fits most dog collar d-rings. Posted On 12/10/16 by Melinda W from Iuka, MS Yes, Melinda W recommends this product! 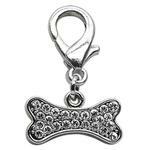 This charm is perfect to add a little bling to your pups collar! Very cute charm. Solid, thick, and sparkly. Very cute on the collar however after about two months i have noticed the crystals are falling off. Posted On 06/21/16 by Jane D from El Cajon, CA Yes, Jane D recommends this product! These charms add that special touch to almost any outfit. Posted On 04/27/16 by Sandra P from ARDMORE, OK Yes, Sandra P recommends this product! Very nice Bone Bling for the price. Posted On 04/20/16 by Connie B from Hastings, MI Yes, Connie B recommends this product! These are so pretty, sparkly and well made, love them! Posted On 03/31/16 by Maria N from Yorkville, IL Yes, Maria N recommends this product!